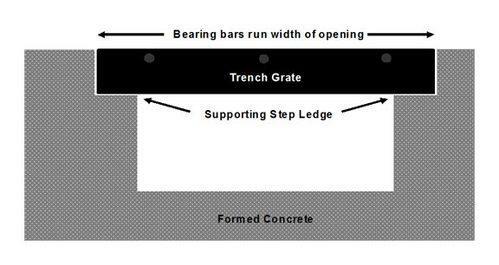 Steel Driveway Drain Grate - 1" x 6" x 36"
Metals Depot exclusive drainage grates are an economical solutions for covering driveway trenches or floor openings that have an existing support ledge. Made from steel bar grating, drain grates are perimeter banded, fully welded for ultimate strength and painted black. Lengths are standard 36 inch for easy installation or removal for cleaning, but we can make most any size or configuration your project calls for. Buy multiple panels to get just the coverage you need. 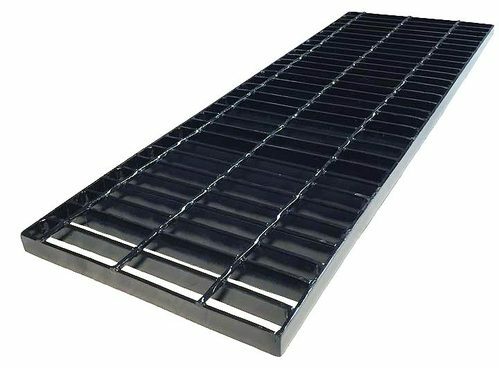 Also available in Galvanized Steel Grates, Stainless Steel Grates and Aluminum Grates. Applications: Driveway Trenches, Drainage Ditches, Manhole Covers, Sidewalk Drainage, Parking Lots Grates, Tree Grates, etc.